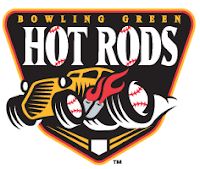 Fort Wayne, IN – Kyle Lobstein allowed one run over 5.2 innings to lead the Hot Rods to a 5-1 win over the Fort Wayne TinCaps on Saturday night. The lefty’s fourth straight win gives his team four straight victories, including a pair of wins to begin the second half of the season. Lobstein was spotted an early lead as the Hot Rods scored in the first inning for the second straight night. Chris Murrill snapped an 0-for-17 streak with a single to center field against starter Jose De Paula. He promptly stole second and then scored on a single to center from Tyler Bortnick to make it 1-0. After a few missed opportunities in the second and third, the Hot Rods finally came through with a pair of runs in the fourth inning. The first two guys reached on a walk and a single before Julio Cedeno doubled to the left field wall to score newcomer Bennett Davis for a 2-0 gap. Ty Morrison followed with a single to left to bring home Kyle Spraker to make it 3-0. An inning later, it was a 4-0 Hot Rods lead thanks to a double by Spraker to score Ryan Wiegand. The early runs made it easy for Lobstein, who allowed a one-out walk in the first and then a pair of singles to begin the second. He stranded those runners with the help of a double play and then didn’t allow another base runner until a lead-off double in the fifth. He worked his way out of that jam by retiring the next three guys on two fly outs and a strikeout. Lobstein’s only blemish came in the sixth when he allowed a two-out walk followed by a two-out single. He left the game at that point for Matt Stabelfeld, who allowed one of those runners to score to cut the Hot Rods lead to 4-1.
in 30.1 innings (1.19 ERA). The Hot Rods ended up getting that lone run back in the seventh on a sacrifice fly from Davis. The new infielder worked two walks, scored a run, and picked up an RBI in his first game as a Hot Rod. He was joined in the box score by Bortnick, who finished 3-5 with an RBI. Mark Thomas went 1-4 to extend his hitting streak to a season-high eight games. The bullpen added to the fun with 2.1 scoreless from Stabelfeld and a scoreless night by Deivis Mavarez. They’ve now gone 32.1 innings without allowing an earned run. on 1340 AM WBGN ‘The Ticket’ or www.bghotrods.com. The Hot Rods return home to begin a six-game home stand on Monday, June 28 at 7:05 PM against the Lansing Lugnuts(Toronto Blue Jays). For tickets and a complete list of upcoming promotions, visit www.bghotrods.com.